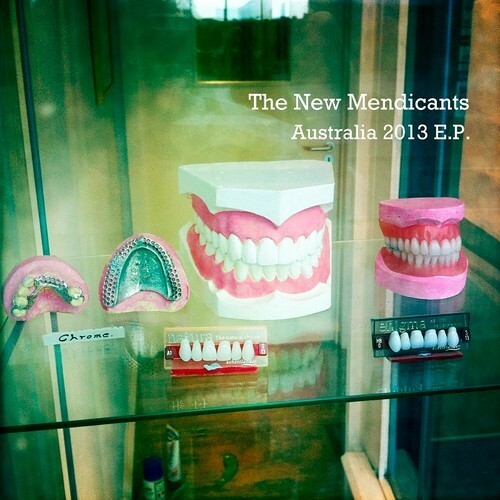 Song of the day: The New Mendicants – "This Time"
Taken from The New Mendicants’ first EP, ‘Australia, 2013’, to be released digitally on Friday January 18 + available at all shows on the band’s January/February tour of Australia. The New Mendicants are Joe Pernice (Scud Mountain Boys, Pernice Brothers) and Norman Blake (Teenage Fanclub, BMX Bandits). This coincidence has been stuck in my head ever since I first noticed it in 1999 when the newer song was released. I’m glad to be able to now have it somewhere other than just my head. That’s probably a coincidence. Maybe.